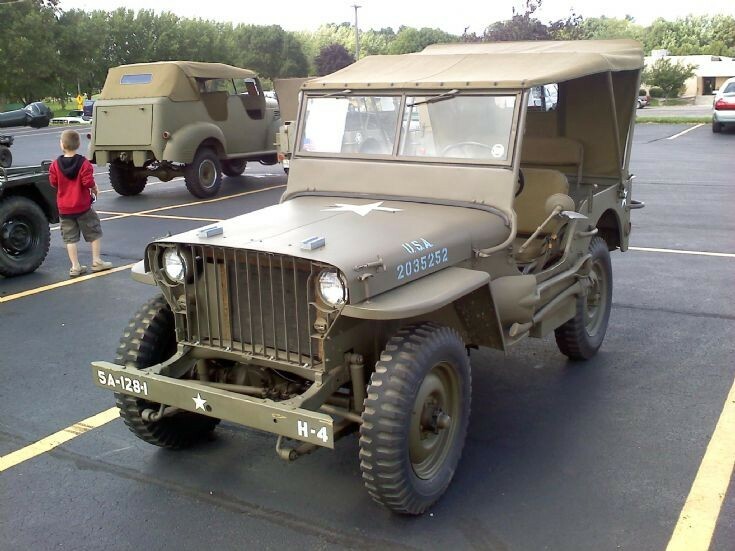 This Willy's model MB became the standard jeep and the early slatgrill was from November 1941 to May 1942. It is most regognizable by it's iron bar grill and lack of glove box on the instrument panel. and the Willys scrip stam on the rear panel. This jeep was aquired from Tim, Reedsburg, Wisconsin. This vehicle belonged to the 5th Army, 128th Infantry devision. 4th vehicle in order of march. Very nice! Is the front grill the original? I got my '59 CJ5 in 1985 when I was in my first year in high scohol and except for the engine which was perfect and is even upto this day, the gear-box and drive train had issues as was with corrosion. That was all done back then along with a few cosmetic and facials during the last 25 years and since 1985 both of us have been having quite some fun. I am in Sri Lanka and my CJ5 (which I have named Will ) is now apparently the ONLY surviving original petrol CJ5 in the country and gets quite a few head turns on the regular sunday drive. Added by Chiran on 23 March 2013.